A complete mischievous, distractive and misleading story. 1. 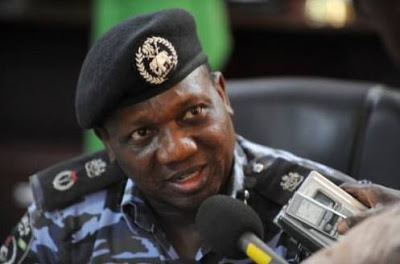 The attention of the Nigeria Police Force has been drawn to a report by Sahara Reporters, New York on August 26, 2016 captioned Inspector General Idris accused of Massive looting, violation of public trust. 2.The Nigeria Police Force would ordinarily not join issue on news item that has no substance and completely false, but to put the record straight; the report was studied and all the allegations asserted against the Inspector General of Police, Ag. IGP Ibrahim K. Idris NPM, mni and the Nigeria Police Force in the write up were found out to be completely false, misleading and malicious in its entirety, and obviously the hand work of distractors and mischief makers, whose intention is to distract the Inspector General of Police from carrying out its statutory duties of ensuring that Nigeria is secured and crime free. 3. The Inspector General of Police, Ag. IGP Ibrahim K. Idris NPM, mni have served in various capacities within the Nigeria Police Force and International Communities without blemish. The IGP is focused and determined to accomplish his statutory responsibilities to all Nigerians and continue to serve his country and will not be distracted by distractors who take advantage of the media to launch a personal attack and campaign of calumny against his personality and the Nigeria Police Force. 4. The Nigeria Police Force wishes to enjoin members of the general public and other persons who must have read the report to disregard and discountenance the story as totally unfounded without any iota of truth. 5. The media, most especially the new/social media outfits are hereby implored not to allow malicious/ mischief makers to take advantage of them to misinform and mislead the public. The Nigeria Police Force will continue to partner with the media, other stakeholders and the general public to ensure that Nigeria is safe for every Nigerian and visitors alike.